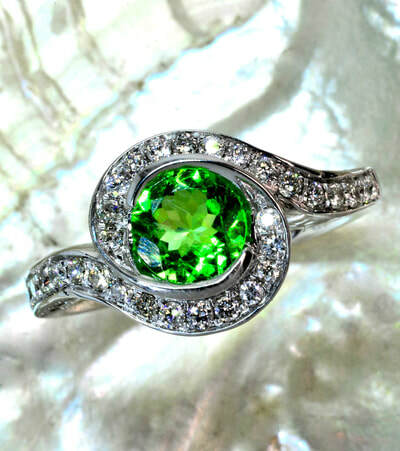 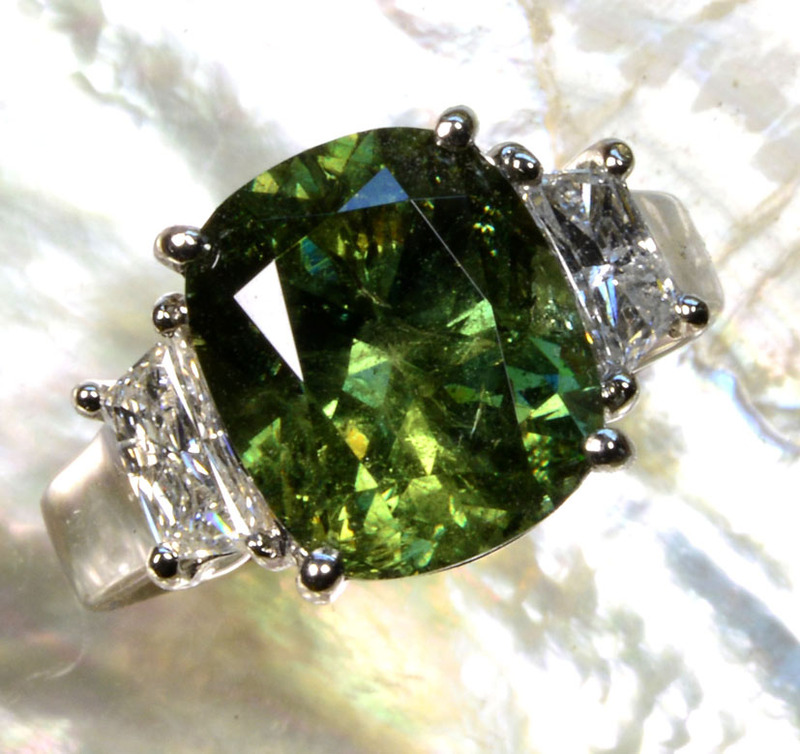 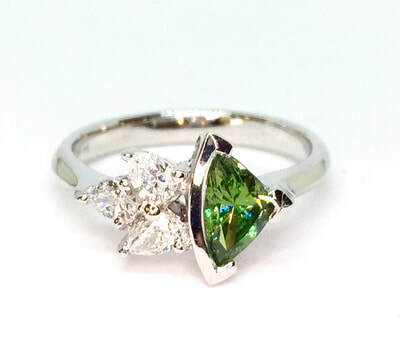 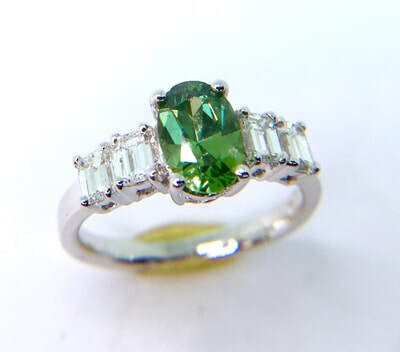 Demantoid Garnet is one of the rarest and most beautiful of the important color gemstones. 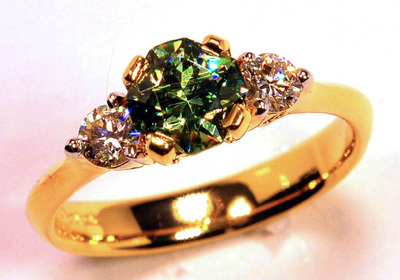 It belongs to the andradite garnet family. 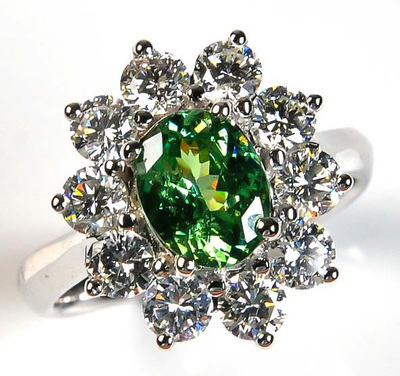 Demantoid is known for it's high refractive index, and very high dispersion- the ability to take light and split it into the entire rainbow spectrum of colors. 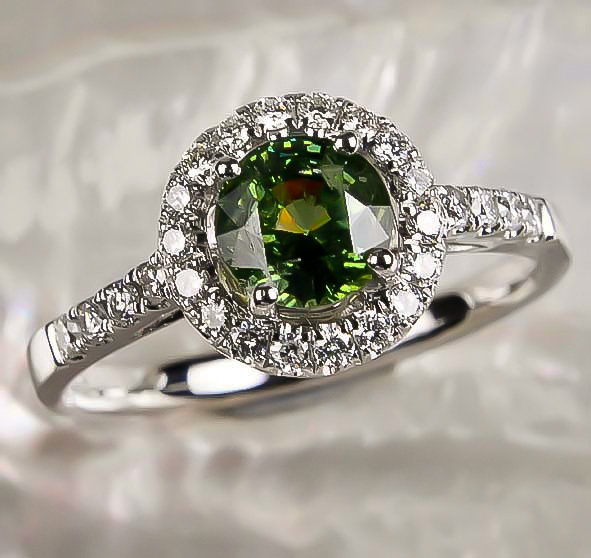 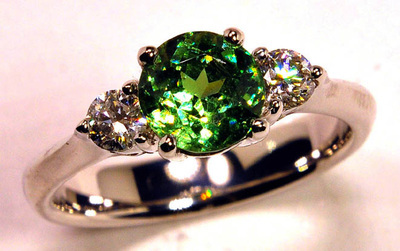 In fact, Demantoid's dispersion ability is even higher than that of diamond- it actually has more fire than a diamond. Demantoid Garnets are usually very small, the average size found is under half a carat. Anything over 1 carat is considered very rare and valuable. 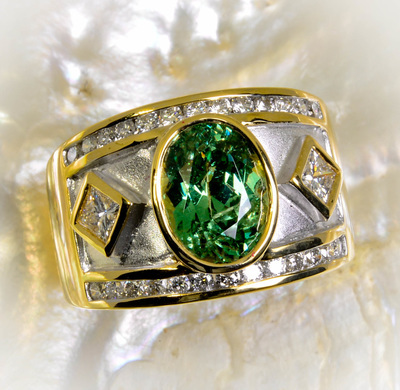 They come in all shades of green, ranging from deep intense green, to light lemongrass yellow green, to a brown army green color. 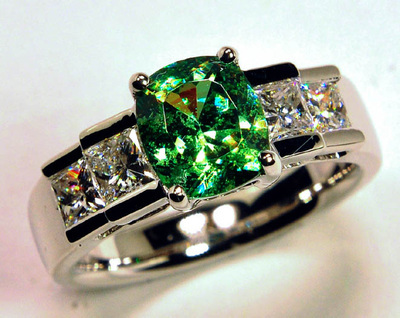 The very best Demantoids are an intense green color with a very slight hint of blue, with good fire. The Demantoids from the Green Dragon mine do not typically contain the horsetail inclusions that the Russian material is known for. 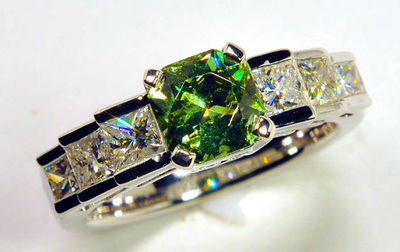 However, they more than make up for that by being exceptionally clean with brilliant sparkle.